These police figures are on party patrol! Great for pretend play or party favors. Create a unique party themed cake by using these as a cake topper. The economical price of these figurines will help you stay on budget for any party, event or themed event. 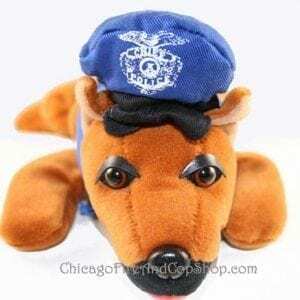 Use these to stuff party favor bags at your next Birthday, classroom party, or other event.1 Dozen Police figures in assorted poses include patrol officers, swat team members and traffic cops. 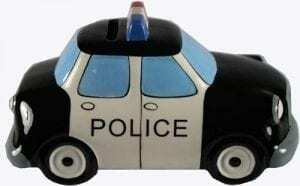 Ceramic Bank7" long x 3.5" x.3.5"
Stop in the name of the law! 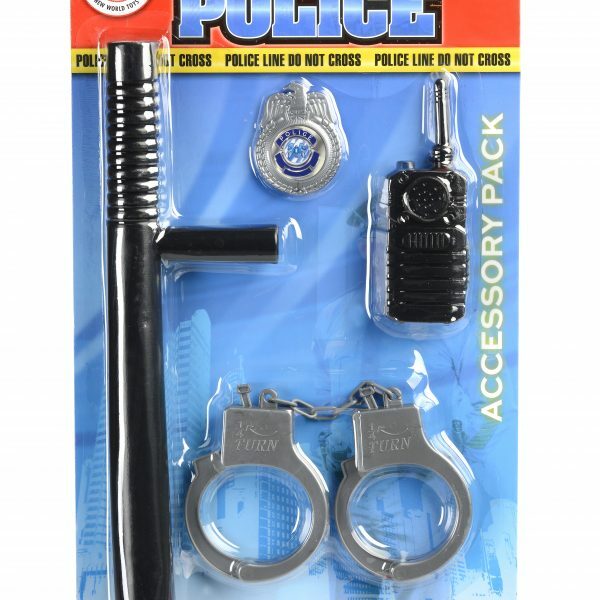 Police accessory pack includes handcuffs, radio, billy club and badge. Choking Hazard - Small parts. Not for children under 3 years.